The T61 was my first laptop and has always had a special place in my heart. A few months ago I decided to do a retro build up and get back into the ThinkPad game. So I purchased a 14.1" T61 on eBay and re-vamped it with my T9300 (which I had saved from my first ThinkPad). It was a good refresher course for me, but I wanted more. After getting my new ThinkPad set up just the way I wanted, including flashing the stock bios to the Middleton bios 2.29, installing TPFanControl and ThrottleStop 8.5. I used ThrottleStop to undervolt the CPU to 1.15v while running at 2.7 GHz (in dual IDA mode). I was happy with the result, but I wanted more, especially in the video GPU department, so I started researching the T61p, the 15.4" variant with the FX-570m GPU and I chose that as the next upgrade path. So I found a mint condition T61p on eBay and pulled the trigger. Purchased for $85 shipped, and it was well worth every penny. 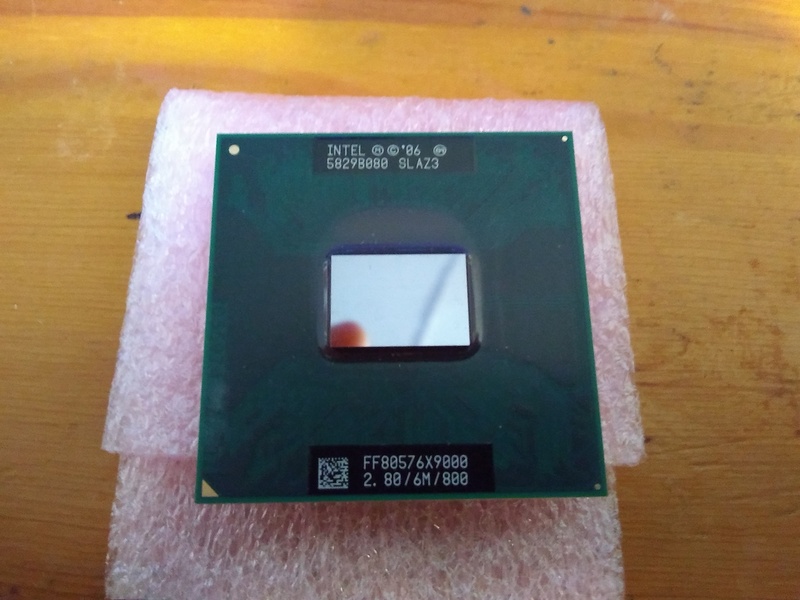 I also purchased an Intel Core 2 Extreme X9000 CPU for $44. My plan is to take every component to the extreme, including the processor, hence I chose the X9000 since it has an unlocked multiplier. I also installed a 60GB SSD drive to take full advantage of the SATA II speeds unlocked by the Middleton BIOS, installed the core 2 extreme X9000 and began the process of getting the CPU dialed in. 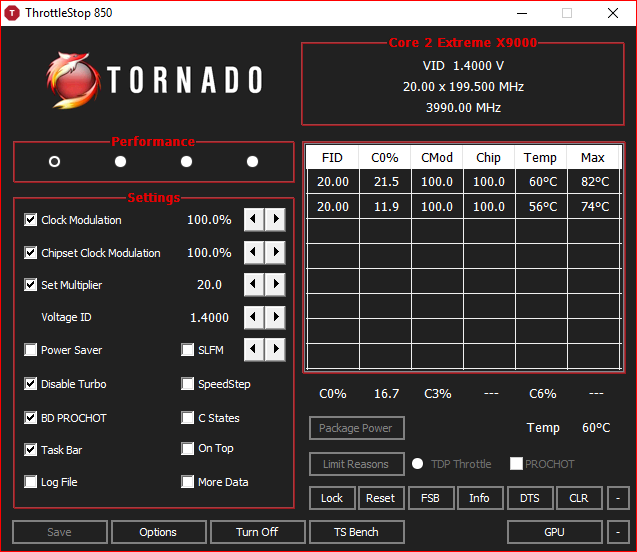 Using ThrottleStop, I was able to hit 4.0Ghz stable at a core voltage of 1.4v, obviously, it's not going to be running @ 4.0Ghz 24/7, so I settled on 3.2Ghz @ 1.1875v and heat does not seem to be an issue. I found the old 4GB memory kit with timings of 4-4-4-12. Also installed my ultrabay DVD burner and my Intel turbo memory to top it off. I'm just using the turbo memory as an additional storage device. Set up with windows 10 pro and I'm very happy with the results so far. The laptop is responsive and I hope to have it around for many years to come. So the retro build is more or less complete, but I do have a few remaining questions. First, I am having an issue with ThrottleStop. It doesn't seem to work with the FID set on the .5 (HALF) increment for example, if I set the FID to 16.5, I am only able to see 3.2Ghz, not the 3240mhz that would normally result in 3.24Ghz (200 x 16.5). So only I can only use the FID on the full multiplier setting, ie = 14.0,15.0,16.0,17.0, etc. This seems to be a bug within ThrottleStop and I was curious if anyone else has run into this problem. Another question regarding custom BIOS. Is Middleton BIOS the way to go? Or are there some other custom BIOS that would be better for my specific hardware? 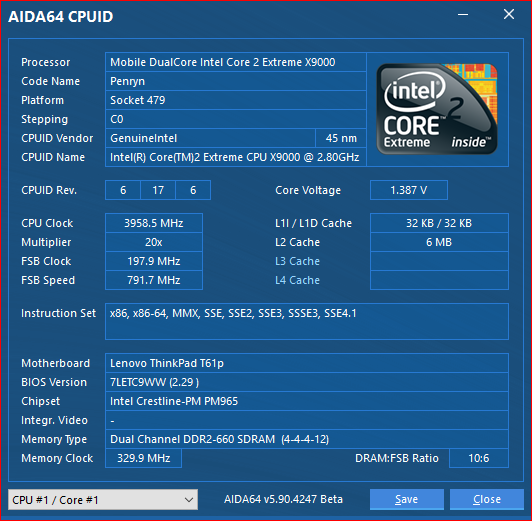 It would be nice to overclock from the BIOS for example. Also, is there a hardware modification to allow running full DDR2-800 speeds? Here are a few pictures I took during the build, enjoy! Last edited by storm-chaser on Fri Apr 20, 2018 8:52 pm, edited 2 times in total. Re: Retro Thinkpad T61p Build! 2: Get those pictures off img tags before the mods get you!! Resize them. IMO the pictures are needlessly large. He probably uploaded them from his phone and didn't realize it was a 12MP photo. I've done it in the past too. They are each no more than 2MB in size and I was under the impression when you embed files the bandwidth goes back to the hosting source? I can't readily re-size them at the moment but I am now aware of the issue and will work to resolve in the morning. Does the forum have limited bandwidth? 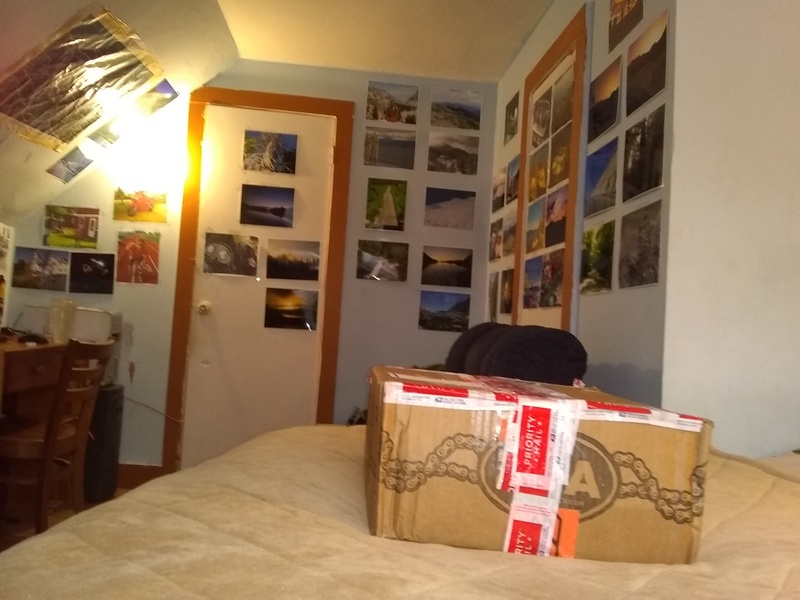 I'm a new member and I don't want to come off as abrasive, I'm just inquisitive as I've never seen forum photo restrictions as stringent as this. Or if I have, it was 15 years ago when dial up was prevalent. The rules for the board are no me than 50K on normal boars per pic and a max size of 800x00 for PDA and dial up users. The rule is from 2004 but it is still the rules. The mods will take down your photos if you dont act now. Just saw this and how true it is. You should save all the images to an imgur album and give the link for those interested! This is so bizarre - a rule that hasn't been updated in 14 years? To save bandwidth for dial up users and cell phones? I'm sorry I'm not trying to be smart! This is just crazy, especially in the year 2018. In all seriousness: Do you not have wifi? I pay only $40 / month and I have unlimited 4G LTE data. You should seriously consider upgrading to a far superior data plan. I don't know, this is like the most bizarre thing I have ever encountered on any forum, ever. I just wanted to talk about my fun t61p project and enjoy common ground with other members with pics of my build + ask a few questions. It's almost surreal that my thread has now become this when all I want to do is share my love for these classic machines. To save bandwidth for dial up users and cell phones? I'm sorry I'm not trying to be smart! This is just crazy, especially in the year 2018. In all seriousness: Do you not have wifi? I pay only $40 / month and I have unlimited 4G LTE data. You should seriously consider upgrading to a far superior data plan. I don't know, this is like the most bizarre thing I have ever encountered on any forum, ever. Not everyone has access to Gigabit pipes available to residents of NYC from both Verizon and Spectrum. You'd be floored if you had *any* idea of the amount of people - including many forum members - who run on sub-3Mbps-circuits because that's all that's available in their neck of the woods. Wi-fi does you little good in that set of circumstances. As a rule of the thumb these areas also have poor cell coverage as well. I just wanted to talk about my fun t61p project and enjoy common ground with other members with pics of my build + ask a few questions. It's almost surreal that my thread has now become this when all I want to do is share my love for these classic machines. This should've been posted in "Pictures..." section, IMO. You could ask a Mod or an Admin to move it there. FYI, again, I live in Japan. It is a nuisance, so please be more considerate and aware that other cultures may be different. Again, I would like to request an imgur album only the link to the album you already provide on your own hosting service, and a total deletion of all images from your post - as I see they are already all in the link you provide! Maybe you should even consider deleting this current post and starting over again with only the link this time if these comments bother you! I do respect your work on the T61p computer, but do not wish to discuss it further since your images have already ate nearly 30MB of my bandwidth and I am so mad right now. When I used to use Facebook sometimes, I wouldn't blow through that much data! Thank you for point this out. You don't necessarily have to even be in rural area if you leave the United States for this to be a problem! I'm sure if I'm having trouble with it here in the big metropolis of Tokyo, most of South East Asia is beyond words at how much data this guy gets to eat up each year without a second thought! Those rules originated in 2004, when the Forum was first set up. They have since been modified many times, but if an Admin makes any changes, that is not shown by a footnote. And ajkula66 has hit the nail on the head with his remarks about limited phone-access. we introduced this strict picture-limit in 2015 and it is here to stay! Pictures of the size you posted would have been blocked anywhere on the forum. We don't want to scroll sideways unnecessarily as well. So please read the rules and abide by them! 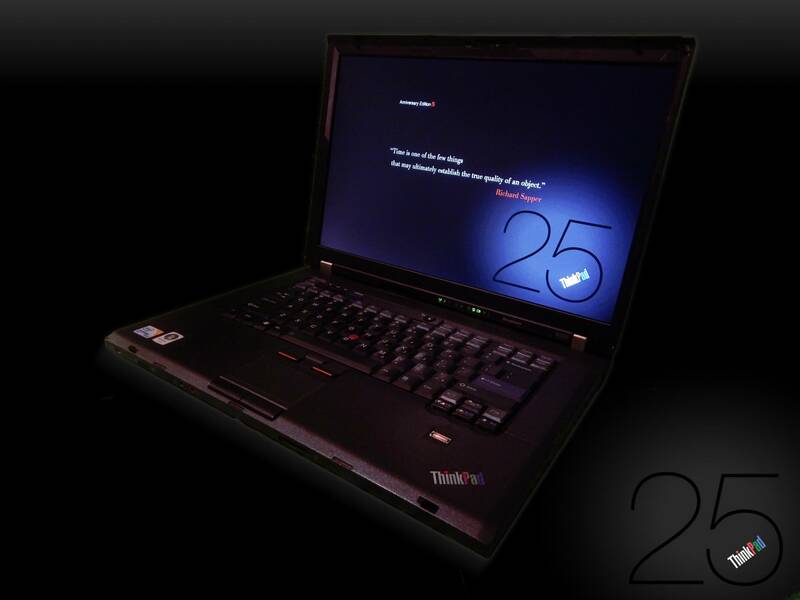 there is nothing "retro" about the T61p, it's the way it has always been. But the readability of your post leaves a lot to be wished for! Most of the time my phone runs on edge, which is about 127kbps per second. Your page would have normally taken about a few minutes to load on my phone. I'm still trying to wrap my head around this. I am amazed that management of a "technical - computer related" forum would essentially prefer said forum to be in the stone age. The multimedia experience is what we are after here, not plain old text. So bizarre, because people are furiously browsing the forum from their phones? And these people are seriously expecting to browse the internet without using their data connection? This rule is definitely a turn off and I would suggest coming up to date with a multimedia experience. As a new member it really speaks to lack of freedom and lack of expression that in my opinion keeps people away and promotes a very restrictive atmosphere. Here is the definition of retro: imitative of a style, fashion, or design from the recent past. Your T61p is not an imitative, it is the very design T61p itself. Nothing to do with retro. And nobody forces you to post here, but if you do, we expect people to abide by the rules. Thinkpads have always looked like black boxes. It isn't retro at all, just that's how they look. Retro is a throwback to times that have changed, but Thinkpads haven't changed. You wouldn't call a clock with hands retro, neither is a Thinkpad. Okay, okay. I get it. You can't see the connection and you are getting hung up on the wording. I'll use some synonyms here to get the point across. Retrocomputing is the use of older computer hardware and software in modern times. Retrocomputing is usually classed as a hobby and recreation rather than a practical application of technology; enthusiasts often collect rare and valuable hardware and software for sentimental reasons. However, some do make use of it. Retrocomputing often starts when a computer user realizes that formerly expensive fantasy systems like IBM mainframes, Digital Equipment Corporation (DEC) superminis, or Silicon Graphics (SGI), even NeXT Computer System workstations have become affordable on the used computer market, usually in a relatively short time after the computers' era of use. I'd appreciate if you don't have anything positive to say, please keep the negativity to a minimum. Thank You. Hmmm T61p comes with Quadro FX570M graphics (higher models) and will run 64-bit Windows 10 without a hitch. Of course, it runs all the latest linux as well. It can run the old stuff too - my Japanese model came with Windows XP on it originally. These were business computers - and the p-series especially comes with some very capable hardware. I see a good future for the T61p currently on the market, especially considering their chipsets support up to 8GB of memory. This is huge for the time period it came out in, but regular to a bit small now. Now, the stuff running anything before XP is without a doubt retro - my three 240s (which will be one, once I switch all the good parts into one chassis), my 760 (the dead one and the alive one), and my i-series are all old and retro. They will not run modern operating systems, often because of the CPU's underclocking, but sometimes because of lack of peripherals (lack of USB, serial ports, or for that matter first/floppy Disk Drives anyone? - I have 60 btw - 30 for 1997 MS Office Pro, 1 for a very old version of DBAN (similar program to it by HGST actually), 1 for memtest 1995, and another 28 blanks). Retro is when your parents don't understand why you use a computer at all that can only run up to one version before what is the oldest anyone uses in your country (Windows XP is still quite prevalent in Japan). Yes, my parents criticize my plan to run my thesis presentation from Powerpoint 1997 on my 760, but I've tested it to work - the VGA connection is quite helpful for this. So I am confused on why you insist it has to be retro. It is really capable of being so (if you hate XP already, even though XP for Integrated Systems [translation to English may be wrong] is still on extended support to 2019), but it is capable of not being retro. And if anything, the modifications you made updated the hardware, not downgraded it so it is even less retro now. I assume you are young. * You like new things - you grew up in a culture where computers are to be replaced with each new MS operating system (3-5 years) and phones are replaced every two. But once upon a time, people liked using hardware until it just died on them. A proud example of this is the desktop Aspire M tower in our house that is now officially the family computer of 12 (and almost a half) years! 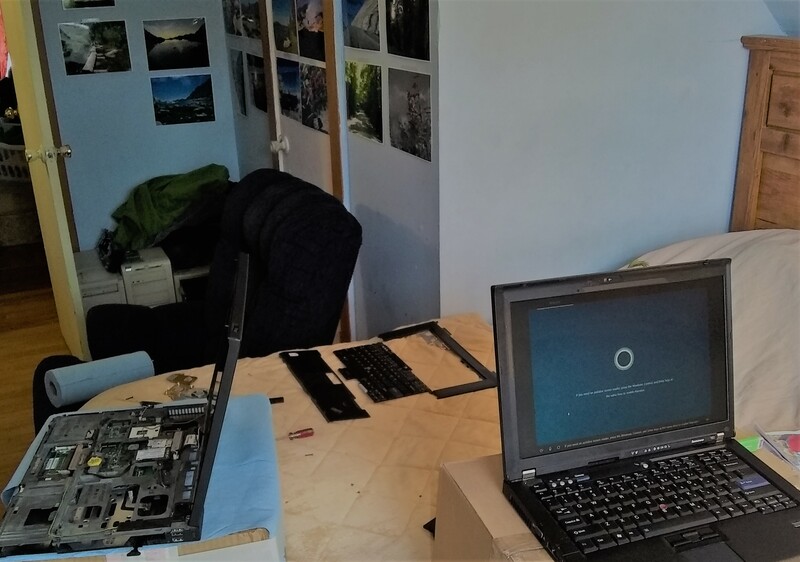 It still runs Vista, but we can all manage - my parents and even my younger brother who also likes only shiny, new things. And yes, I did have a gaming computer. This was because I needed dedicated graphics for a neural network AI simulation, but I imagine the dedicated graphics T61p could have done the work I needed well-enough... and either way, we're in an era where Intel is about to release AI assisting USB stick hardware anyway. As for the build work. Well, I've opened up far more than one of these computers to make dead machines new and working again. But everyone has to start somewhere and I appreciate your efforts - the pictures show some careful concentration on your part. I'm glad you asked. I use the term retro to invoke nostalgia. 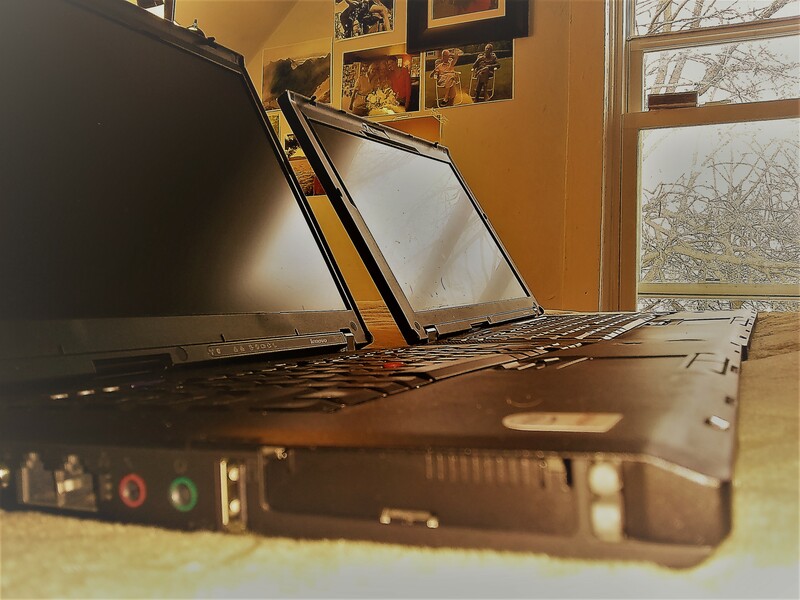 The ThinkPad T61 is considered obsolete or old technology by today's standards, therefore, based on the definition, I consider this a retro build - In technology development terms 10 years is like a century! And your points are duly noted. I'm sorry if you don't agree and certainly everyone is entitled to their own opinion. All things being equal, there are no set requirements for this practice, it's a very subjective and personal hobby. If you re-read my initial post, you will see that my very first laptop was a T61, so for me personally and within this project, the term "retro" is very relevant and applicable. My span of technological influence started with this laptop, so for me, it's like going back to the very beginning. And I do have other equipment that falls into this category as well. I have a Pentium III system that runs Windows XP. I have a Pentium 133 that runs Windows 98 SE and a K6-2 550 that runs Windows 2000. I also have an Athlon XP 3000+ system that I am collecting parts for, which will be my next retro build. So far I have the RAM, HDD (with SATA to IDE conversion), power supply and CPU. Just waiting on an Asus A7N8X motherboard and copper CPU cooler. Being older design language I would consider T61p to be fairly retro. To me personally, any combination of terms "ThinkPad" and "retro" implies a 4:3 system. They managed to keep 4:3 in as long as possible, even equipping some T60p with IDTech panels meant for T40 series, and keeping a 14.1" T61 model. Maybe they still had some 14.1" 4:3 stock? TNs are cheaper, after all. X201s was also an anomaly with shortages of its one of a kind Toshiba 1440x900 displays by the end of its run, and you'd see X201s with the normal X201 lid and LCD attached. Unlike Apple they didn't have the clout to keep the favorable aspect ratio in production. Could IBM have influenced 4:3 to remain in production, or would the Thinkpad line have ended had they not sold it to Lenovo? I respectfully disagree. If you think that somehow the technology in the T61 is timeless, I suppose there is no way to out reason your conclusions. Apparently, you also think the Core 2 duo from 10 years ago is current technology. Retro computing is very real, and this build is one of them, I hate to break it to you. Definitely not alone here in this regard and I applaud TPFanatic for backing me up on this one. Appreciate it buddy! Ok, I see where your are coming from. I am a retro computer collector and for me, anything that isnt 25 years old isnt retro. In my upgrade path I completely skipped the T61 generation, going from a T42p daily driver to T500 but as my name suggests I will be working on a 14.1" 4:3 T61 project soon. They're very neat laptops and I appreciate you sharing yours. And apparently, you think the core 2 duo is current CPU tech, so I will take your opinion with a grain of salt. Thanks! 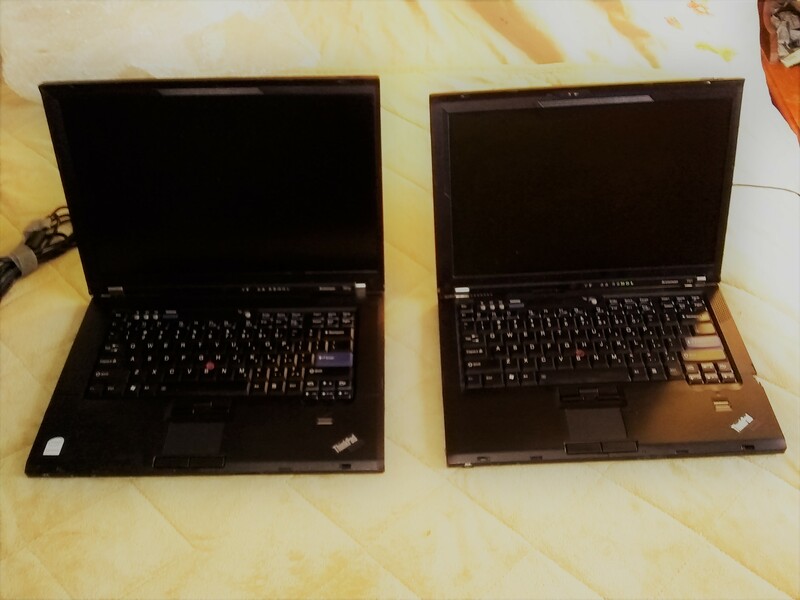 I had a great time building both of these laptops (first, the 14.1" 4:3 T61 and then later the 15.4" T61p). I installed Windows 10 x64 on the T61p and decided to stay with Windows 7 x64 on the 14.1". Both are solid, decently fast machines and I even built a little stand for my 14.1" unit so I can multi-task across both machines from my desk. 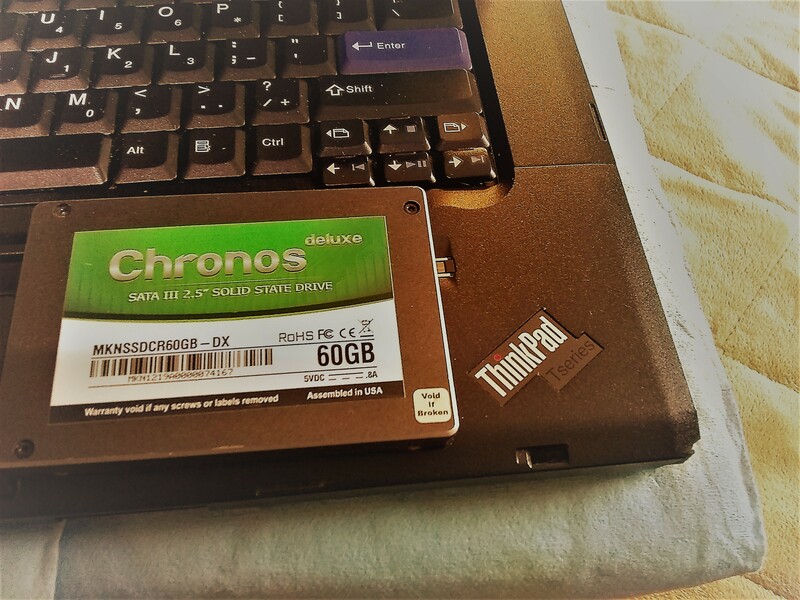 Next upgrade is definitely going to be a solid state drive for the slower 14.1" laptop. Definitely the most fun I've had building up a laptop in quite some time. How is the computer standing up over time? Putting RAM modules and CPUs on a beadspread is just asking for trouble. There is a reason the manufacturers specify static safe handing procedures. These things are static sensitive, and damage is sometimes subtle. The build is about one week old and performing above expectations. So far I have been able to dial down the voltage to 1.1625v @ 3.2Ghz stable. 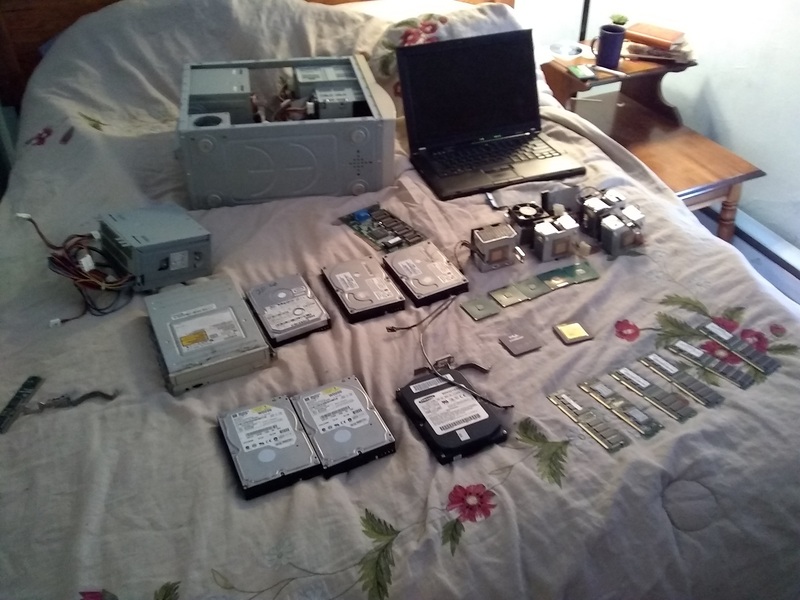 I do not have the best static free workstation around, but all the components from this particular laptop were not laid out on the bed. Those were old parts from another retro build and extra inventory. 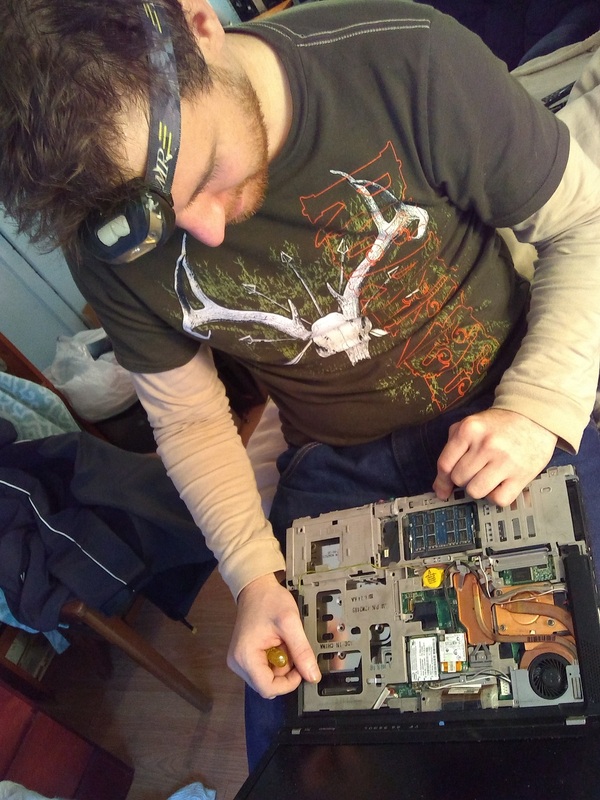 In 15 year of working on computers I have never lost a CPU or RAM or had any other component fail on me due to static shock. Call me lucky, I guess. I used the bed to lay out the keyboard and front clip and other plastic pieces, the actual hardware from this build never made contact with the bed for that specific reason.